I was worried about purchasing a dress for my wedding in December but after reading reviews and I decided to go for it! I ordered a custom size. I don't know what I was worried about it was perfect! I didn't want to take it off. 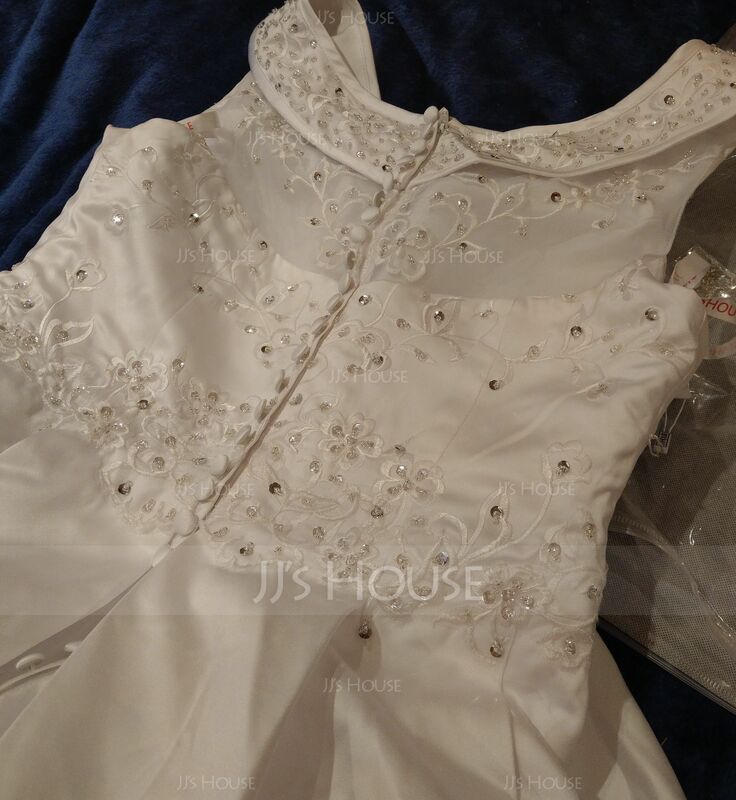 The had sewn beads and sequins are stunning, I got white embroidery on it which was beautiful and we were given an extra bay with beads and sequins as well which I didn't think about. The buttons down the length of the dress are amazing but even better there is a hidden zip so no need to button up! I asked for something to be added so I can hold the train up at night and there was good communication and a loop to put round my wrist. I couldn't be happier from start to finish! Beautiful!!!! Fits like a glove!!!! Amazing.....i was worried about buying a wedding dress online but it couldn't have turned out better. Amazing material and amazing fit. Can't wait for my wedding in 2 months. The dress is even more beautiful than the picture. Fits perfectly. Can't wait til my wedding in May. Very pleased with the quality of the dress and with the speed of service. 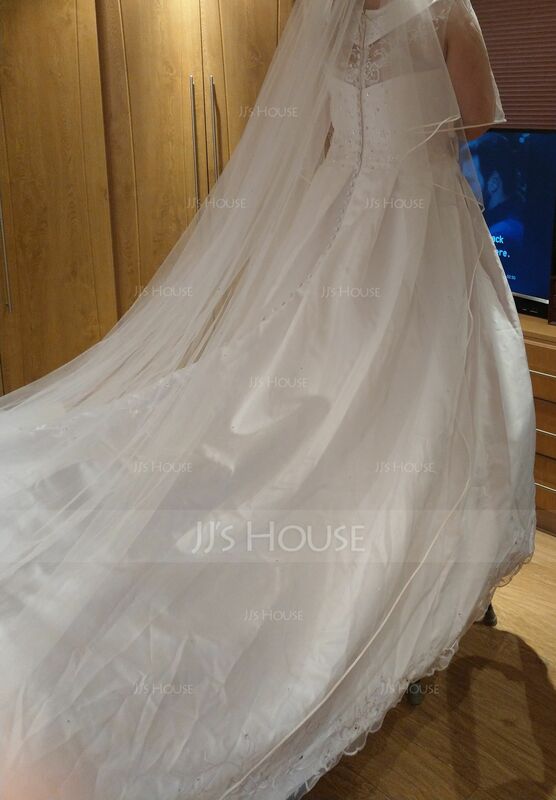 I plan to order my Brides maid dress from JJ House. I am very pleased with the quality ! The dress was almost a perfect fit with the custom measurements I sent in! Would definitely recommend to anyone who is looking for a gown. This dress is absolutely beautiful. Once I got it out of the box and tried it on, it fit like a glove. 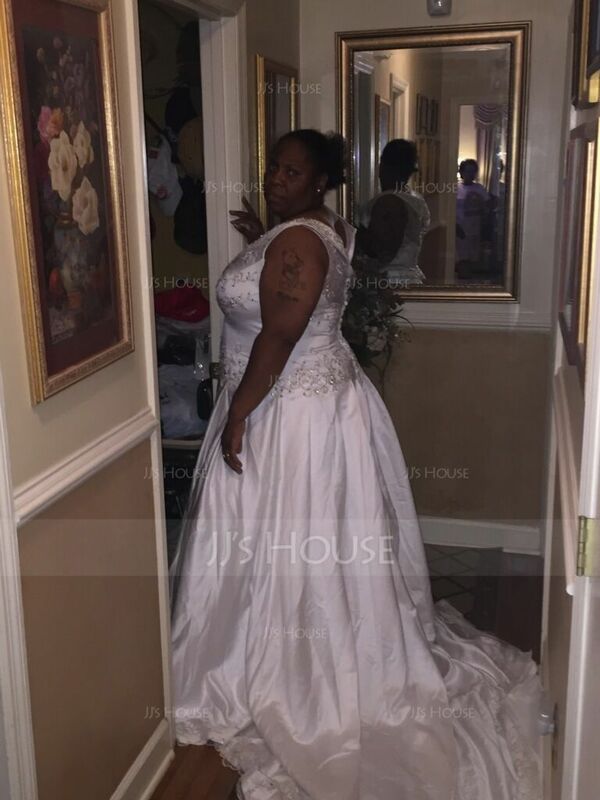 I had my dress custom sized and the seamstresses that worked on this dress did a wonderful job. The detail work on this dress is stunning- I'm very pleased with my purchase. It has all the details I was looking for in a dress- there was no way I could've gotten a dress this beautiful with this much detail at other places. Can't wait to wear it for my wedding in November! Thank you very much! My dress arrived quicker than expected and it is simply beautiful. I couldn't be happier with the quality and service. Hi, Anyone who might be concern about buying their wedding dress online. I bought my wedding dress from this company and am extremely pleased with it. I was a little apprehensive at first as I really didn’t know anyone who had bought there dress online, and especially for a special occasion (your wedding) but I can happily say my dress fitted perfectly and was an exact replica of the dress advertised. I would highly recommend people to use this service, its cheap, quick and exactly what u order...SO HAPPY I've also bought my three bridesmaids dresses from this site. PERFECT ! !